From a writer praised by Junot Diaz as "the fire, in my opinion, and the light," comes a mesmerizing novel that follows one woman's rise from circus rider to courtesan to world-renowned diva.Lilliet Berne is a sensation of the Paris Opera, a legendary soprano with every accolade except an original role, every singer's chance at immortality. When one is finally offered to her, she realizes with alarm that the libretto is based on a hidden piece of her past. Only four could have betrayed her: one is dead, one loves her, one wants to own her. And one, she hopes, never thinks of her at all.As she mines her memories for clues, she recalls her life as an orphan who left the American frontier for Europe and was swept up into the glitzy, gritty world of Second Empire Paris. To survive, she transformed herself from hippodrome rider to courtesan, from empress' maid to debut singer, all the while weaving a complicated web of romance, obligation, and political intrigue. 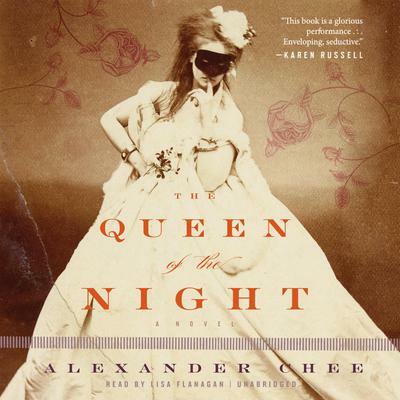 Featuring a cast of characters drawn from history, The Queen of the Night follows Lilliet as she moves closer to the truth behind the mysterious opera and the role that could secure her reputation-or destroy her with the secrets it reveals.